49ers running back Carlos Hyde has slimmed down to 225 pounds and says his surgically-repaired foot “feels great” according to Cam Inman of Bay Area News Group. 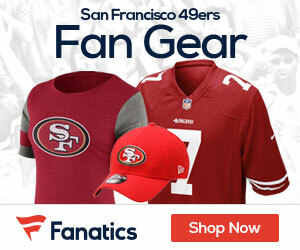 New 49ers head coach Chip Kelly runs the fastest-paced offense in the league and Hyde is focusing on getting into tip-top shape in anticipation of being the featured back in the Kelly offense. The 49ers listed Hyde at 235 last season and he weighed 230 coming out of Ohio State in 2014, which may be part of the reason he has struggled to stay healthy thus far in his NFL career. Hyde will likely drop even more weight in the offseason conditioning program and through training camp this summer. He should be a terrific fit for Kelly’s zone-blocking running scheme. 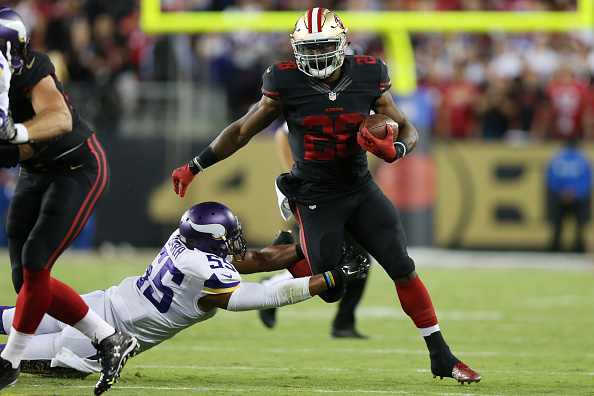 Be the first to comment on "49’ers RB Carlos Hyde Slimmed Down to 225 Pounds and Feeling Great"